At first glance, I thought ‘The Kindergarten Teacher’ would be a cute, quirky movie–I was wrong. The Netflix original movie “The Kindergarten Teacher” throws the main character’s moral compass out the window, resulting in a frustratingly unrealistic plot. Of the movies I have seen from Netflix, I haven’t been as impressed as I have been with their series. 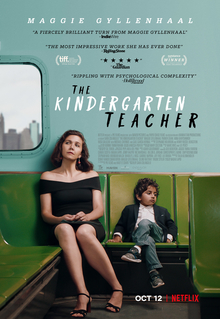 After some endless scrolling and trying to decide what to watch, I stumbled upon “The Kindergarten Teacher.” The movie poster led me to believe I was in for a light-hearted, quirky movie about a sweet kindergarten teacher. Not only that, but playing the lead role was Maggie Gyllenhaal, most notably known for her role as Rachel in “The Dark Knight.” Looking at her past roles, she is mainly featured in suspenseful or action movies. An eccentric movie seemed out of the ordinary for her. It turns out the movie wasn’t so sweet and cute after all. In fact, it was so cringe-worthy, I considered stopping it midway through. I kept watching — hoping, praying things would change for the better, but they didn’t. Let me explain. Lisa Spinelli, played by Gyllenhaal, is a seemingly unhappy kindergarten teacher in New York. Spinelli attends a poetry class as a part of continuing her education. She presents her own work in class every time, but doesn’t get the rave reviews she would like. At the end of school one day, her student, Jimmy Roy, played by Parker Sevak, recites a poem as he waits for his nanny to pick him up. In awe of the talent that goes far beyond his age, Spinelli writes down the poem and asks the nanny if this was common. Apparently it is. On the daily, Spinelli escorts Roy from class to push the things she has learned in her poetry class into his five-year-old mind with the hopes to expand his potential. Rachel’s poetry professor finally begins to notice her when she begins to recite Roy’s poems as her own during class and eventually invites her to a poetry reading in Manhattan to present the work that he thinks is hers. Upon receiving a rejection from Roy’s father about him attending the poetry reading because he has baseball practice, she lies to get him out of practice and brings him into the city to the poetry reading anyway. Time after time, I hoped that she would realize what she was doing was wrong, but it never clicks and she begins to overstep her boundaries as Roy’s teacher even more than she already has. Infuriated by Spinelli’s actions, Roy’s father transfers him to a new school. 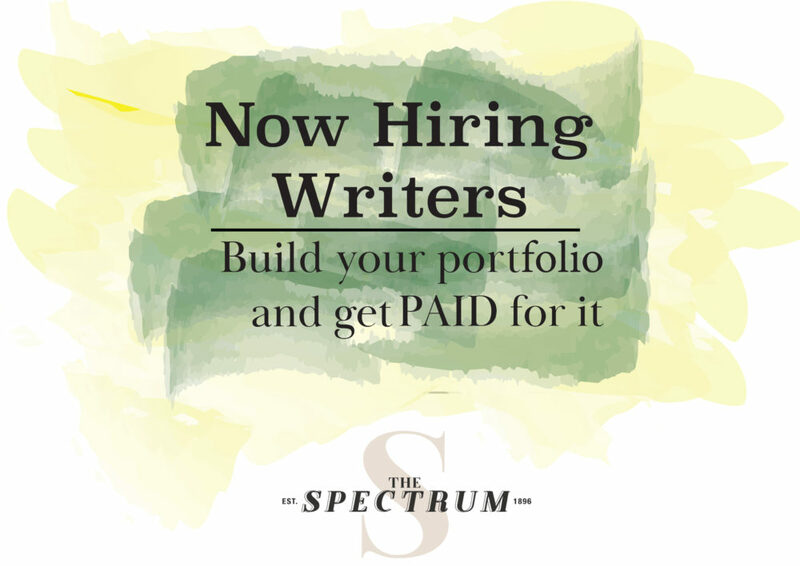 The situation comes to a head when Spinelli follows Roy and his father to school and kidnaps him during recess, bribing him with a trip to go swimming upstate. While Spinelli is showering, Roy locks her in the bathroom and calls the police to report he’s been kidnapped. Only then does Spinelli reveal her true reason for her obsession with Roy — he has the talent and opportunity that she never had, and if she had someone to praise her the way she does with him, maybe things would have turned out differently for her (and she wouldn’t be a kidnapper). Finally realizing that what she’s doing is wrong, she helps Roy with his report to the police over the phone while still locked in the bathroom. Unfortunately, the movie ends with Roy in the police cab and there is no bona fide conclusion as to what happens to Spinelli. The overall slowness and methodical nature of the movie isn’t what made me dislike it. It’s how far Spinelli went without realizing her actions. Her obsession with Roy affected her relationship with her family, and no one said anything or questioned her. I would give “The Kindergarten Teacher” two stars out of five because I think it touched on some disappointing aspect of our culture and how social media is held at a higher value than raw art. The movie falls short for me with its lack of explanation because it certainly needed one.